I first attended the Florida Film Festival back in the early 1990's. 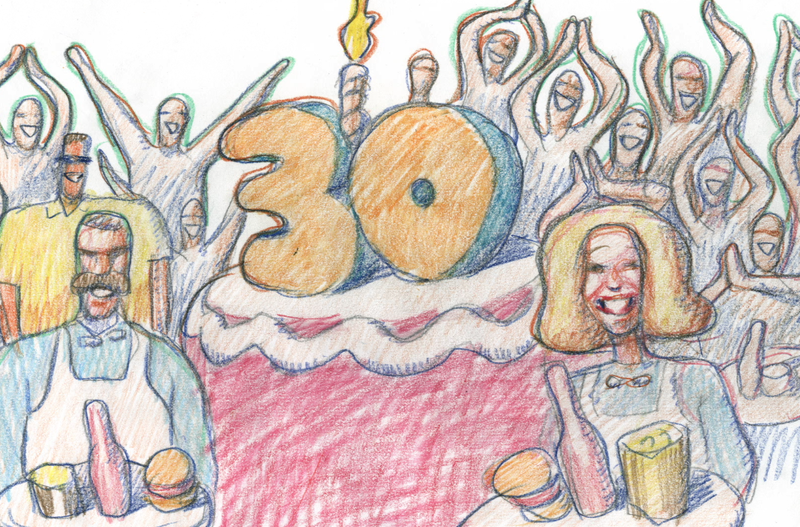 I went to this festival in Orlando and had a ball, because it was one of those rare festivals that seemed to care more about the filmmakers than the press or sponsors. I was treated so well I decided to come back, and come back I did. 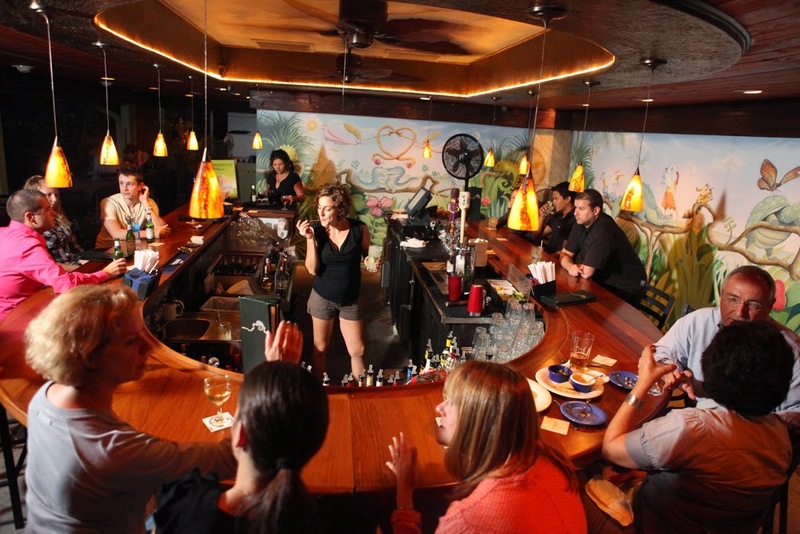 They claim that I've had more films screen at the Florida Film Festival then any other filmmaker - and that led to me creating two trailers and two posters for the festival, and happily I was also commissioned to design a mural for their very popular Eden Bar. People drinking at the Eden Bar, with my mural in the background! 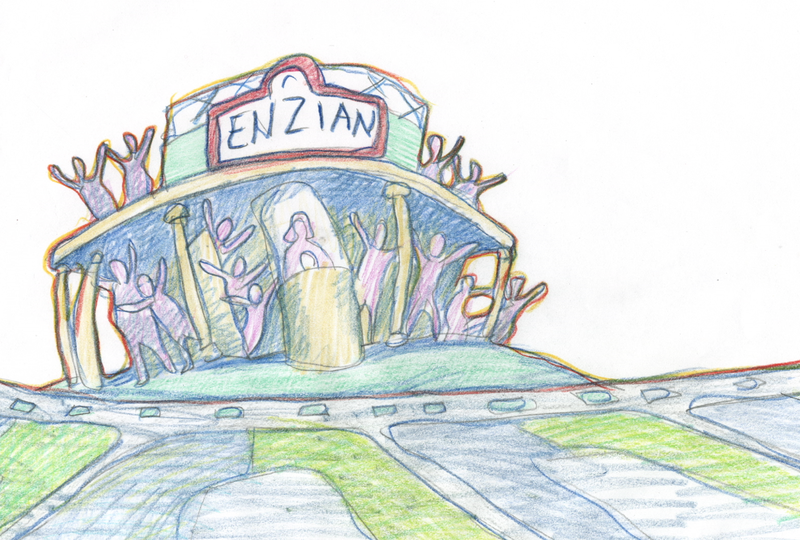 Since this February they were celebrating the 30th Anniversary of the Enzian Theater (coincidentally, it's also my 30th Anniversary of working in animation) they asked me to create a new trailer to celebrate the event and they brought me down to be part of the celebration. The weather in NYC, as you all know, has been extremely frigid, so a long weekend break in sunny Florida seemed like the perfect getaway for Valentine's Day with my wife, Sandrine. 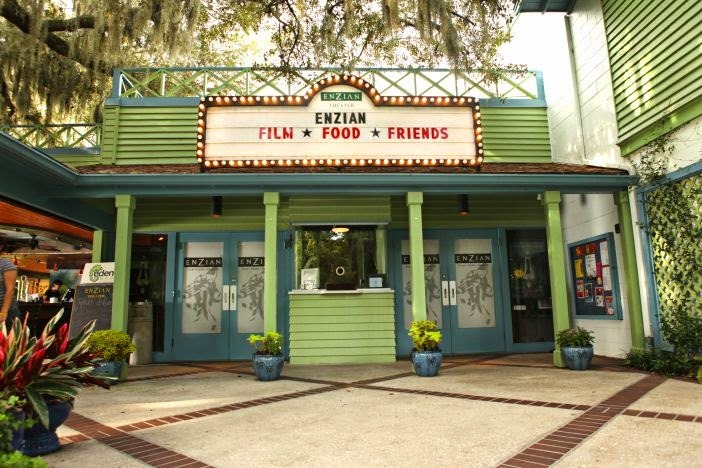 The big celebration at the Enzian was a marvelous event, presided over by Siggy, Henry and Liz, with great food and the typical warm family atmosphere that is the custom at the Florida Film Festival. But the biggest news was the announcement of a massive new construction project to expand the one-screen cinema into a much larger three-screen cinema with a second kitchen and larger lobby. It will be the centerpiece of culture in central Florida. 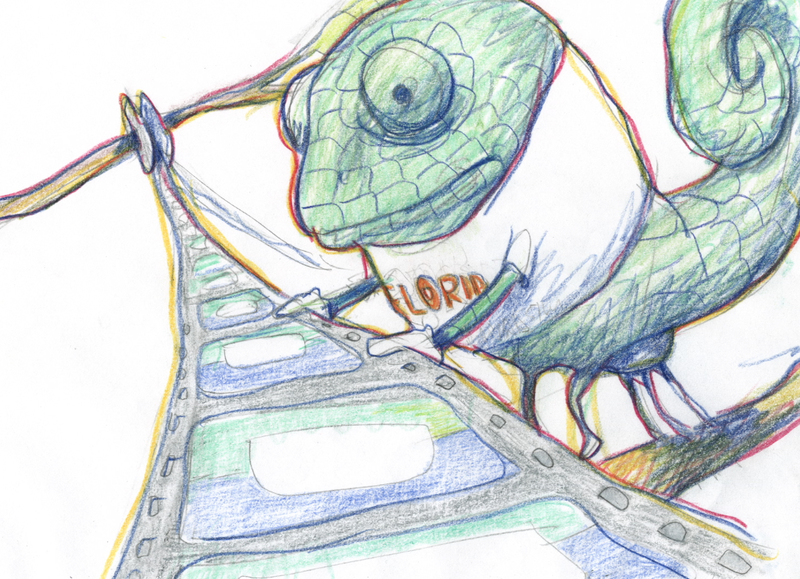 If you have a new film, please enter it in the Florida Film Festival, and be sure to attend. You'll have a ball! 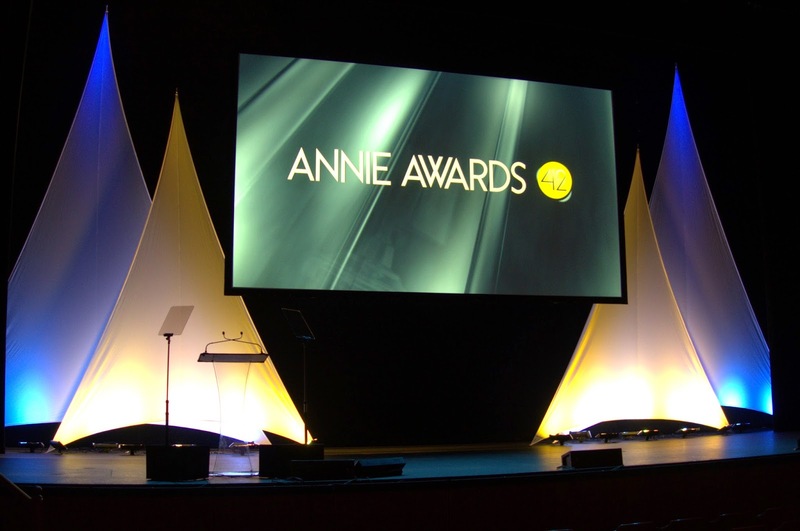 I've just returned to the frozen tundra of NYC from the tropical paradise of L.A., where I attended the famous Annie Awards. I also used that golden opportunity to make an appearance at Sony Pictures Animation, to see what they were doing and talk about my new films. 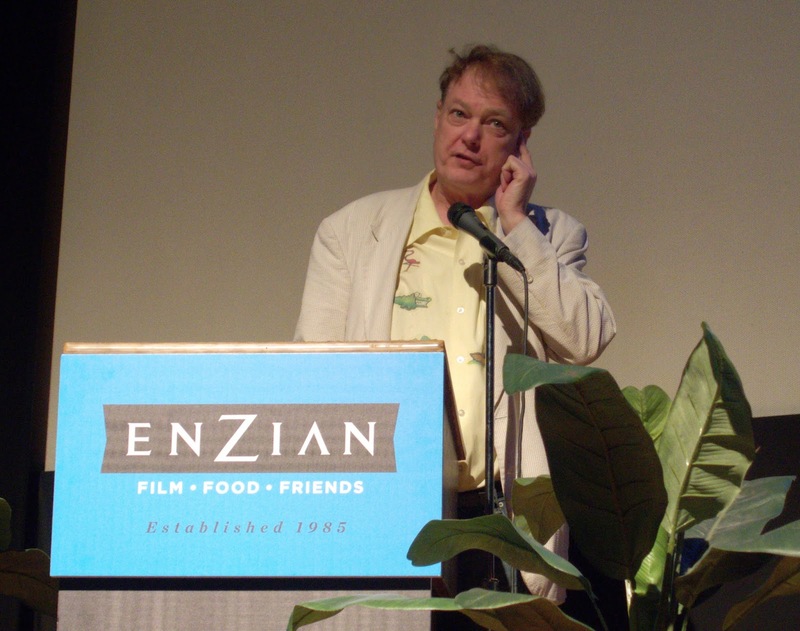 I also did a show at the Steve Allen Theater, where I showed clips from my new films, "Hitler's Folly" (which I was very nervous about, but people laughed a lot...) and "Revengeance" with Jim Lujan, which also got a great reception. 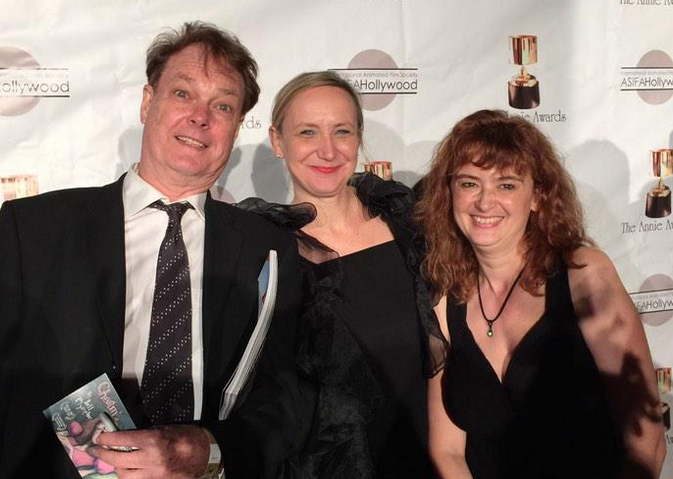 On the red carpet with CHEATIN' composer Nicole Renaud and Sandrine. 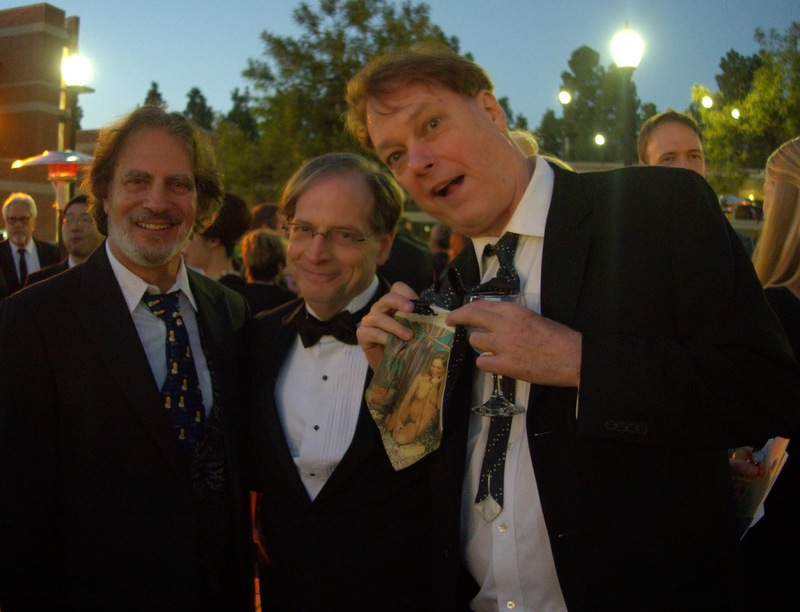 But on to the Annies - it's a wonderful black-tie affair that takes place at UCLA's Royce Hall. It's become the Oscars for animation - all the big studios put their big films and big stars on display. 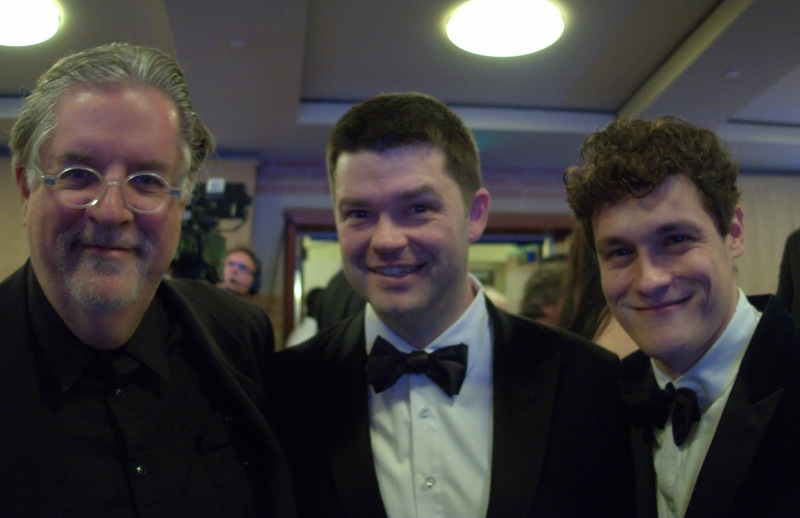 I got to hang out with Matt Groening - in fact, I introduced him to Phil Lord and Christopher Miller of "LEGO Movie" fame. (Chris used to be an intern at my studio years ago.) It turns out they're mutual admirers. 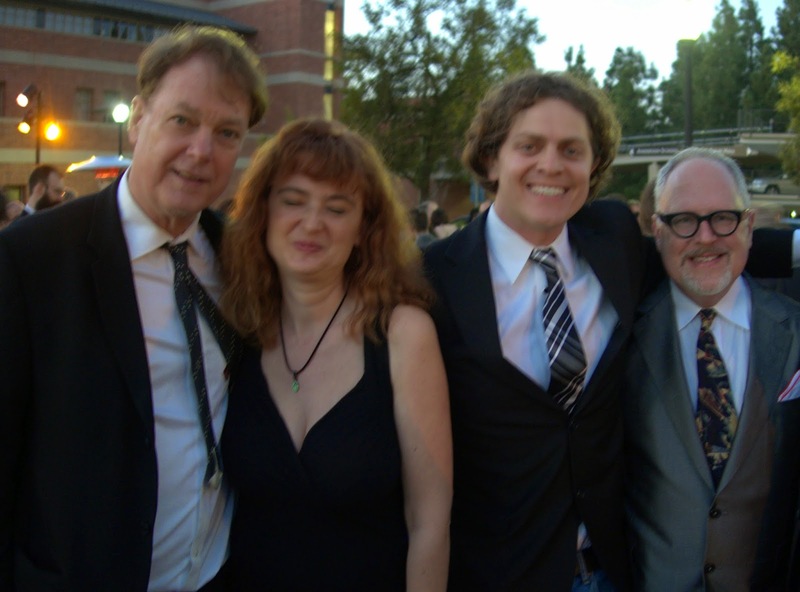 Matt Groening meets Christopher Miller and Phil Lord from "The LEGO Movie"
With Sandrine and Brandon Oldenburg and William Joyce of Moonbot Studios. I said hello to Travis Knight of Laika House, producer of "The Boxtrolls", and I was also able to chat with Leslie Iwerks, granddaughter of the famous Ub Iwerks, and a great documentary filmmaker. 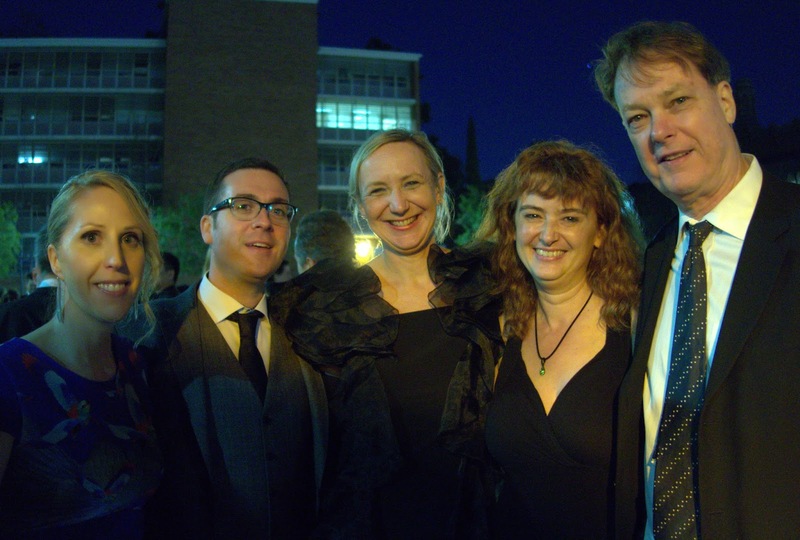 Also, I congratulated Bonnie Arnold on her big success, being hired as the head of Dreamworks Animation. She's famous for producing "Toy Story" and a bunch of Pixar hits, but she also produced the big hit "How to Train Your Dragon 2", which I believe was the best animated film of 2014. 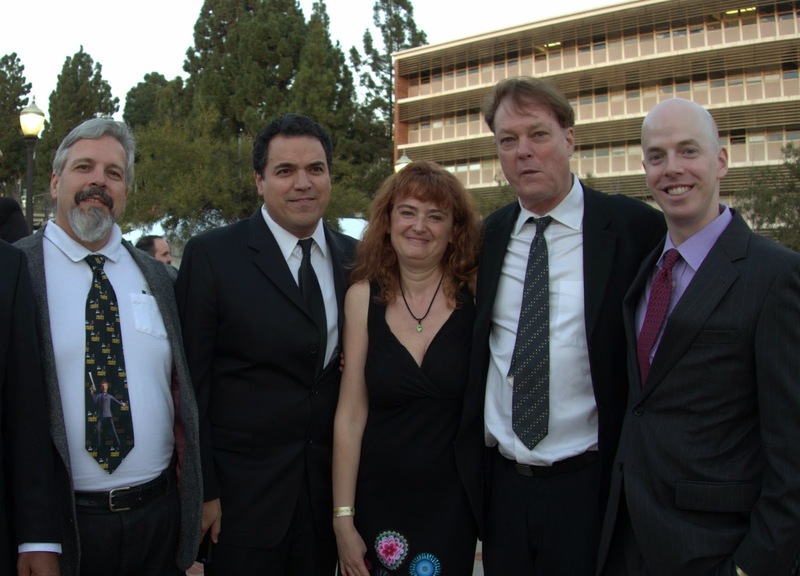 So I knew going in that had only a snowball's chance in hell of winning an Annie - but that's OK, because I just love hanging out in L.A. (the mecca of animation) and catching up with my friends and talking about animation. CHEATIN' composer Nicole Renaud and Sandrine. The program is playing in over 350 theaters around the U.S. and Canada, so please check your local listings, and go out and support some animation this week!  It's a great way to see all of the nominated shorts before they hand out the Oscar!